The ICAM ILS systems provide Laser Air-sampling Smoke Detection solutions to meet the unique needs of numerous commercial and industrial applications. ILS systems are suitable for both medium sensitivity and multihole Class C applications. The ILS systems actively draw air from the protected area through sampling holes in a pipe network. Sampled air is then filtered before being analyzed by medium sensitivity laser spot (point) detectors incorporated in the systems. Alarm states (Alert, Action or Fire) are reported by activating functional LEDs in the display and dry contact relays. The systems utilize a high performance aspirator and software configurable flow monitoring circuitry. Air flow is displayed on a ten element bar graph that can be adjusted for high and low flow thresholds, and flow failure is reported as a device fault via dedicated fault relays. The sensitivity thresholds for each of the three alarm levels, fan speed and flow sensitivity can be individually programmed. A USB interface provides a connection to a PC for system configuration. The ILS system can also be locally configured through an integrated programming interface. 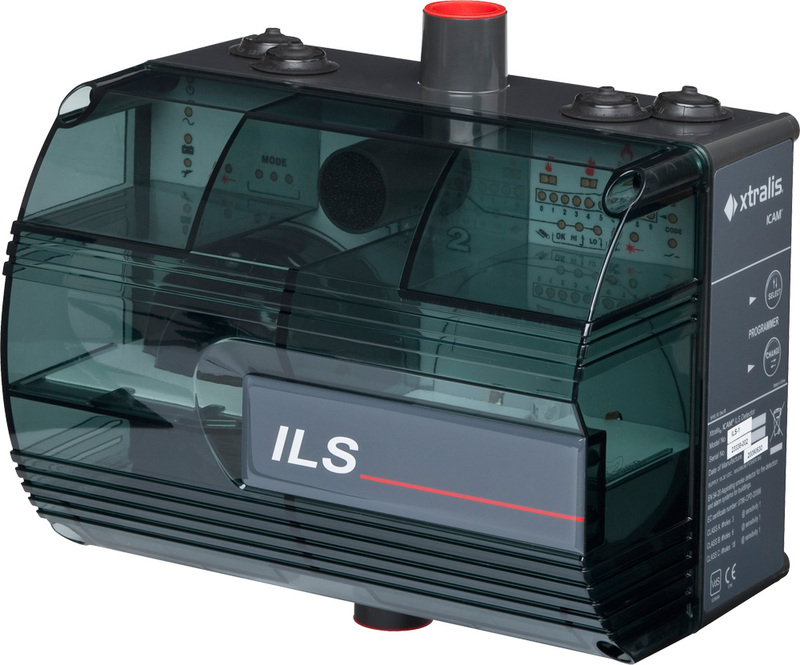 The ILS-1 can be fitted with one or two detectors per system. ILS-1 systems fitted with one spot (point) detector is capable of providing single area detection, but ILS-1 fitted with two detectors can be configured for a number of detection strategies. * These are software programmable modes for an ILS-1 system fitted with two detectors. * Subject to local codes and standards. Note: (OR / AND) represents the boolean logic for combining two detectors to achieve detection strategy.